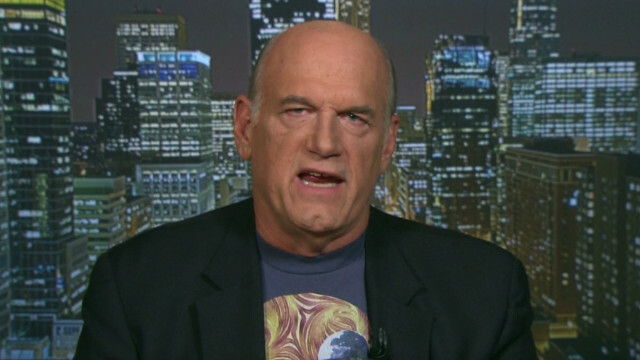 Coming up this evening at 9, "Piers Morgan Live" welcomes the return of Jesse Ventura, as the always entertaining and never timid former Minnesota governor takes his first turn on "The Grill." Joining the program for a live interview, the former WWF wrestling star is expected to offer his unique perspective on everything from the IRS's recently reported target of conservative groups, as well as the Department of Justice's seizing of journalist's phone records. A recurring interview subject for Piers Morgan, past visits have seen Ventura touch upon everything from Navy SEAL's sharing mission details to political parties being equivalent to gangs and gang members. In addition to Ventura, tune in this evening as "Piers Morgan Live" reveals new details on the weekend death of three Oklahoma storm chasers, as well as a Texas man killed by a swarm of African bees. 1. Does he have conclusive evidence that 9/11 was a conspiracy? Has he found thermolyte on steel from the former World Trade Centers? 2. Is Obama a reptile? 3. If HAARP can control the weather, why hasn't it been used to prevent disaster? Surely we could save tax dollars with less storm cleanup. 4. Do rights come with responsibilities? Thing is that- if you have HAARP and are using it- it's not you who's paying for it. It's the taxpayers that pay it out, and you get a hefty chunk off the top. KInda like Obamacare, gas prices, and every other way people use to dip into our pockets. Is there a weather machine? Not sure, but climate change is a billion-dollar industry now. For this guy, I would resume voting. And that's saying a mouthful. I totally agree Porky Rottenham. I have stopped voting because I'm disgusted with all of them, but I would seriously consider voting for Ventura. Piers...you obviously are going totally maudlin on the issue of the recent "Tornado Chaser " deaths. You made the completely uninformed comment "that we do not get tornados in Britain " .In fact ,had you taken a moment to check your facts , you would have learned that "area wise" Britain has the highest amount of tornados in the world !!. Yes..we understand that they rarely have the intensity to cause major damage . Anyone who runs towards a tornado doesn't really understand them and are nothing but "Glory Hounds" hoping to get that exclusive footage and national press exposure , nothing more nothing less. about WHO IS IN CHARGE OF WHAT? AND WHY? l do think that the public, who not so long ago, (l could count the years on one hand) were completely out of any loop, that the news brings, and l think it mainly started regarding the WALL STREET HORRIFIC SCANDAL and then gradually shredded itself, in the continuous reel, about all things covered by every news station. AMERICA NOW HAS INSTANT AND IMMEDIATE COURIOSITY regarding every dime spent by anyone who controls the PURSE STRINGS and where do we go with this? Should we ask JESSE VENTURA? WHY NOT! Thanks, and the best to you, Piers Morgan,our a good man,who may not always hit the nail on the head,but then again, l haven't spotted the HAMMER YOU WELD! Best regards to CNN NEWS. How come Direct TV moved Piers morgan to 11pm Central? 1. What is the real purpose of the Federal Reserve Bank. 5. Have you ever hear of the Rothchilds and their history. Google Federal "Reserve Rothchild"
I have much More information and the American public should know!